Travel Discounts you can use! Your Discount Number for each program appears in the Special Discount Number column. Write the Discount Number down, copy the number to your clipboard or print out this page before you click on Online Registration. Choose the program you like below and click on the Online Registration link. Click to Enter your Discount Number to qualify for the Full Discount. Members can only obtain their discounts by reserving online or by calling the 800 numbers. Up to 50% off at hotels like Hyatt, Marriott, Hilton, Holiday Inn, Omni, Drury, and Westin. At Comfort Inn hotels, you’ll find everything you need to create your perfect stay. From welcom-ing rooms and cozy beds to a new, free hot breakfast with lots of choices — all at a great rate. Our friendly staff is also available to help you with whatever you need to make your trip more enjoyable. You’ll wake up refreshed and ready for a great day. At Comfort Suites hotels, we’re committed to your success. Spread out in our large contemporary suites, all equipped with premium bedding, pull-out sofa, refrigerator and microwave. Every hotel is 100% smoke-free and offers free high-speed Internet and a 24/7 business center. Wake up refreshed with a free hot breakfast full of choices. We even have a Grab It & Go bag for early risers. And it’s all provided with friendly service at a reasonable price. At Quality hotels, you know you’ll get your money’s worth. Our signature “Value Qs” are your “cues” that the most important things are done well at every Quality brand hotel — Q Breakfast, Q Bed, Q Shower, Q Service and Q Value. Relax in our signature Q Bed featuring a comfortable mattress, 200 thread-count linens and plenty of fluffy pillows. Start your morning with a hot, fresh and healthy Q Corner Café breakfast. Enjoy all the free Q Value amenities like high-speed Internet, newspaper, local calls and 24-hour coffee and tea in the lobby. All that, plus our help-ful and friendly Q Service too — that’s how Quality gives you value for your hard-earned money. You’ll have sweet dreams every time you choose Sleep Inn. Modern rooms, cozy beds and large signature showers leave you energized for the day ahead. Our friendly staff will take good care of you with a bountiful array of free amenities like the Morning Medley hot breakfast buffet, high-speed Internet, pool or exercise room and morning newspaper. Clarion helps people come together for occasions ranging from business meetings and special events to vacations and weekend getaways. Clarion provides the full-service facilities, attentive services and social atmosphere that make it easy to connect, achieve and enjoy. Clarion facili-ties include meeting space and catering, a casual restaurant or a social bar and lounge. Plus, we offer a wide range of supportive amenities like free high-speed Internet, in-room dining, pool, fitness center, 24-hour business center and, of course, comfortable rooms with high-quality bedding, large desk and ergonomic chair — everything you need in a social atmosphere with affordable rates. A thoughtfully designed all-suites hotel, Cambria Suites offers spacious rooms with separate workspace. Enjoy luxurious bath amenities and bedding, ﬂat-panel LCD TVs, swimming pool and state-of-the-art ﬁtness center — plus, contemporary dining, hot breakfast, dinner menu and a 24/7 convenience store. And all Cambria hotels are 100% smoke-free. MainStay Suites hotels are your home on the road for extended stays. Whether you’re away for a week or a month, you’ll appreciate this inviting, residential-style extended stay hotel. Our spacious studio and one-bedroom suites offer all the comforts of home, like a fully equipped kitchen, free continental breakfast, free high-speed Internet, laundry facilities and weekly housekeeping — all at very attractive rates. Get ready to move in to a Suburban Extended Stay hotel — built for real life. You’ll get great value, and the longer you stay, the more you’ll save. Our amenities include well-equipped kitchens in every guest room, free high-speed Internet, free premium movie channels, weekly housekeeping and on-site laundry facilities. Econo Lodge hotels are easy on the wallet for both leisure and business travelers. With nearly 800 locations, we are easy to ﬁnd. We don’t charge extra for high-speed Internet or premium movie channel. Start your day with our free Easy Starts™ continental breakfast featuring coffee, juice and baked goods. Econo Lodge makes it easy when you’re on the road. You’ll ﬁnd welcoming accommodations at a great price at Rodeway Inn hotels. Enjoy free morning coffee, high-speed Internet and premium movie channel. Rodeway Inn hotels are the smart place to stay on the road — so you can focus on your experience instead of your wallet. Ascend Hotel Collection® is a network of one-of-a-kind upscale properties. Each Ascend™ hotel is a unique reﬂection of the distinct character of its host city. Yet, all offer the same high standards of hospitality and luxurious comfort, with professional staff committed to sharing their insights into the places, moments and things that make each place special. You can count on Ascend Hotel Collection to deliver the true local ﬂavor that you crave. *Some amenities and programs may vary and are available only at U.S. locations. *You must advise the front desk of a problem right away and give them an opportunity to correct the situation. If the hotel staff is unable to satisfy you, they may credit you up to one night's free stay. Not all international hotels participate in this program. Call 800.258.2847 or go to www.choicehotels.com, and reference your association's Special Rate Identification Number. In addition to being the Official Rental Car of the American Vacation®, Alamo offers Membership Management Services members unlimited mileage and year-round discounts of up to 20% off Alamo's already great rates in more than 1,200 locations across the globe. Making Alamo Country® anywhere the road will take you. Welcome to Alamo Country. Call Alamo® at 1-800 GO ALAMO (1-800-462-5266) or book online at alamo.com. *Discount applies to base rate only, which does not include taxes (including VAT/GST), other governmentally-authorized or imposed surcharges, license recoupment/air tax recovery and concession recoupment fees, airport and airport facility fees, fuel, additional driver fee, one-way rental charge, or optional items. Renter must meet standard age, driver and credit requirements. 24-Hour advance reservation required. May not be combined with other discount or promotional rates. Availability is limited. Subject to change without notice. Offer valid only at participating Alamo locations. Blackout dates may apply. Auto Europe offers MMS members a 24-hour, Toll Free, dedicated Reservations number 1-800-650-6222 or the option of booking on autoeurope.com. When you are traveling abroad, Auto Europe supplies a 24-hour Toll Free number if assistance is needed. Avis is committed to making your travel faster, easier and more enjoyable. That's why we've developed membership programs and personal services that are designed to meet your needs and make your rentals more pleasurable. To make a reservation, contact avis.com or call 1-800-698-5665. A complimentary membership, you’ll travel better, saving time and money and gain access to exclusive offers. Find the sights. Lose the traffic with voice navigation. For Avis Preferred® members and above. Your own personal driver, by the hour or by the day. Convertibles to BMWs - rides that are just your style. Convenient to wherever (and whenever) you need a rental. Renting for 60 or more days, and you'll get low, long-term rates (plus, you won't have to return to the rental counter). Join Fastbreak and leave the waiting behind. The program is free to join, and as a member, you can simply flash your license, grab the keys and go. Sign up for Fastbreak today and break into a smarter way to travel. Rentals of 60+ days have special low rates. Make your leisure travel even sweeter by saving up to 30%. Get around like a local. Forget lost papers - receipts are sent to your e-mail. Hertz is the largest worldwide airport general use car rental brand operating from more than 8,500 locations in 146 countries worldwide. Hertz is the number one airport car rental brand in the U.S. and at 81 major airports in Europe. Product and service initiatives such as Hertz Gold Plus Rewards® Program, NeverLost® customized, in-car GPS system, SIRIUS XM Satellite Radio, and unique cars and SUVs offered through the Company's Prestige, Adrenaline and Green Traveller Collections, set Hertz apart from the competition. Your membership entitles you to special benefits with Hertz. When you travel with Hertz, you can expect consistently excellent service wherever you go. Whether traveling for business or pleasure, you are eligible to receive a percentage discount on your rentals. Members can save up to 15% with Hertz when your discount code CDP # is applied to your reservation. Additionally, members can save even more when they sign up for Gold Plus Rewards®. Join today and start earning points towards free days, weeks or weekends. To make your reservation, book online at hertz.com and enter your discount code CDP# or call Hertz at (800) 654-2200 (U.S.) or your travel agent and mention your discount code CDP# to start saving today! National Car Rental® is one of the world's largest car rental companies, with approximately 3,000 locations in 72 countries across the globe. 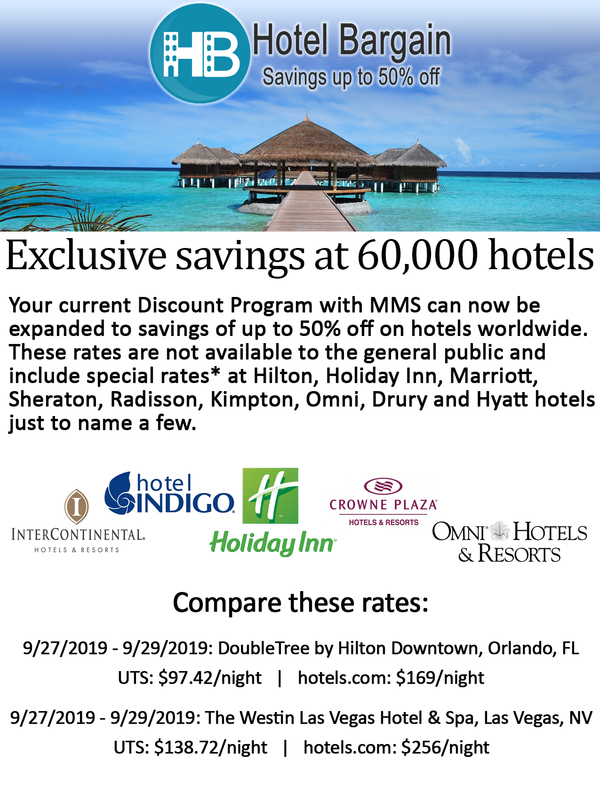 So whether you need to go to the East Coast for business or to the Eastern Hemisphere for vacation, National® offers Membership Management Services unlimited mileage and year-round discounts of up to 20% off National's retail rates. Where will you go? For information and reservations, call your travel agent or contact National online at nationalcar.com or at 1-800-CAR-RENT® (1-800-227-7368). Be sure to give your Contract I.D. Number at time of reservation. * Discount applies to base rate only, which does not incluse taxes (including GST/VAT), other governmentally-authorized or imposed surcharges, license recoupment/air tax recovery and concession recoupment fees, airport and airport facility fees, fuel, additional driver fee, one-way rental charge, or optional items. Renter must meet standard age, driver and credit requirements. 24-hour advance reservation required. May not be combined with other discount or promotional rates. Availability is limited. Subject to change without notice. Offer valid only at participating National locations. Blackout dates may apply.